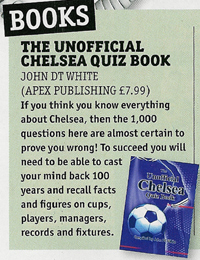 Brief Description: If all you Chelsea aficionados think you know everything about the club, then the 1,000 challenging questions in this quiz book are almost certainly set to prove you wrong, trip you up and send your crumpled brains screaming for first aid and a stretcher. 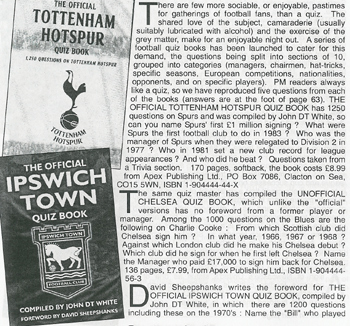 To succeed in your quest you will need to be able to cast your mind back one hundred years and recall diverse facts and figures, covering topics such as Cup competitions, players, managers, past masters, opponents, transfer deals, trophies, records, national and international fixtures, and much more. Each section will rekindle fond memories of the nail-biting matches and unforgettable legends that have peppered the club’s history, guaranteeing both an educational experience and hours of fun for young and old alike. This book is a must for all Chelsea fans. 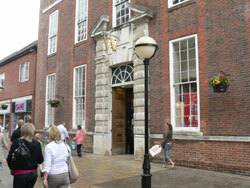 With a great variety of questions and teasers from past and present it suits both young and old. 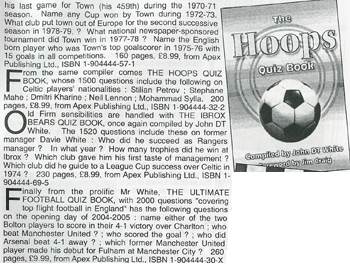 A superb set of questions to test the memory of any Blues fan! I thoroughly enjoyed the book. A well presented and researched book which I am sure will test the knowledge of even the most ardent of Chelsea fans. Keep it up John, well done! 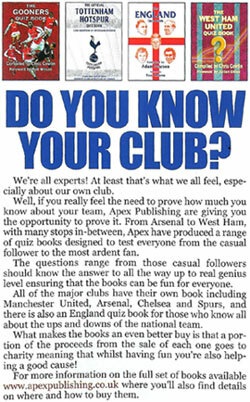 The book is a must for all Blues fans with 1,000 questions to keep you busy over the summer months. 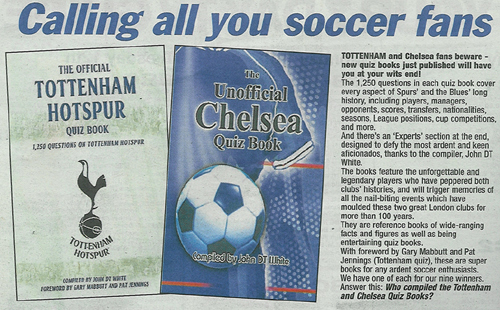 If you think you know everything about Chelsea, then the 1,000 questions here are almost certain to prove you wrong! To succeed you will need to be able to cast your mind back 100 years and recall facts and figures on cups, players, managers, records and fixtures. 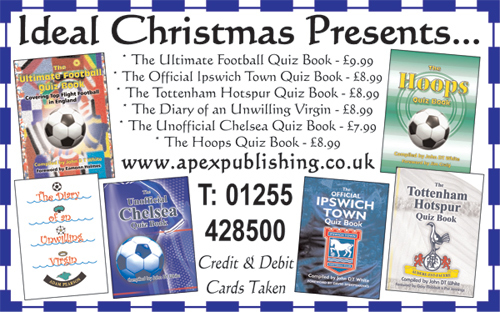 This is an excellent quiz book on Chelsea FC. 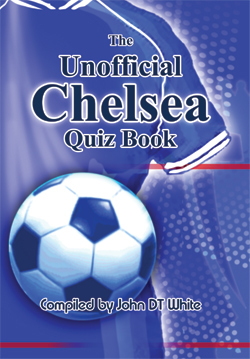 This book must be in the hand of every Chelsea fan and this will test their knowledge of their club. A fantastic set of questions which must of took a long time to research. As a die hard, life long Chelsea fan I did find this book both enjoyable and nostalgic. The questions are well set out, some moderately easy and some difficult. A real memory jogger and a must for any true blue! 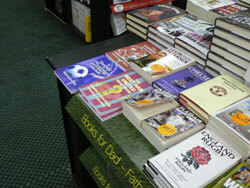 'The Unofficial Chelsea Quiz Book' on sale at Waterstone's, Colchester.